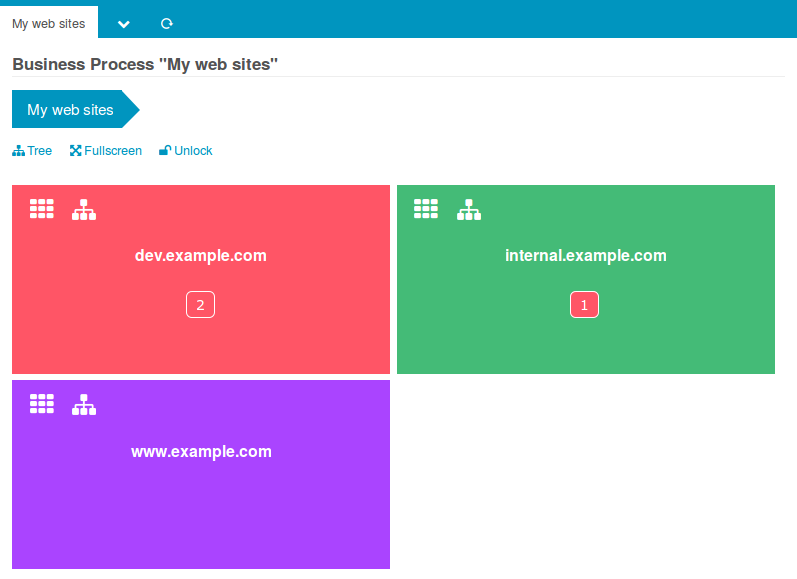 Want to visualize part of your IT infrastructure in a hierarchical way? Do you know the Business Impact of single services? What would happen in case you power down a specific server? Would it have any influence on your most important services? If yes, which applications would have been affected? 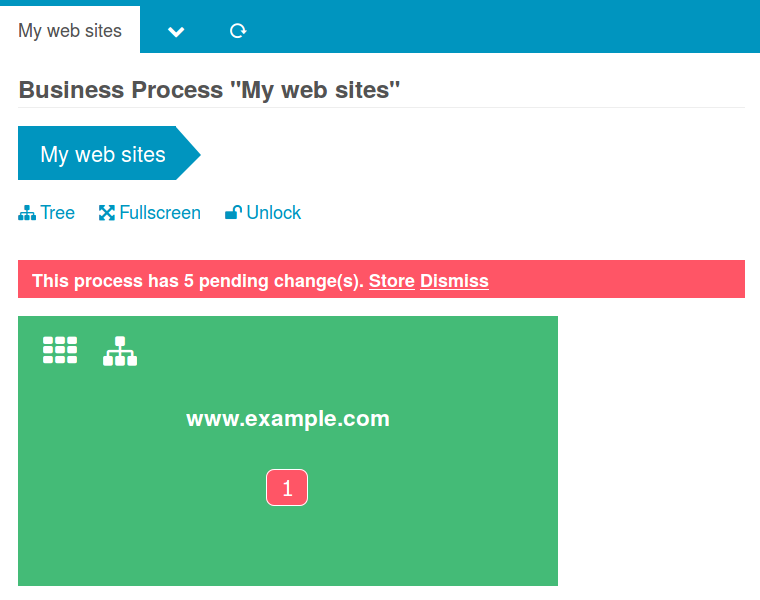 This is what the Icinga Business Process module has been built for. Define as many processes nested as deep as you want: each node can calculate it’s own state based on a given logical operator. Show them as a tree or using the tile renderer. 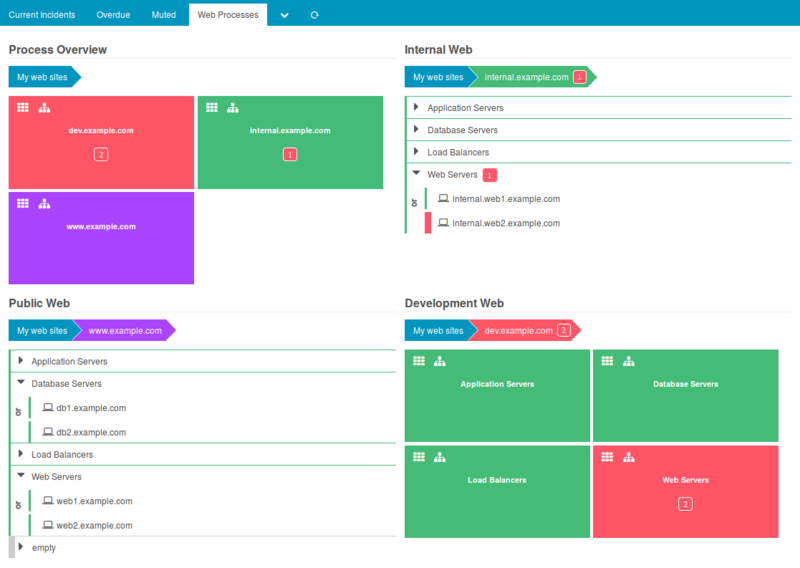 Discover the business impact of your components, simulate state changes and deploy Icinga Service Checks and Notifications. 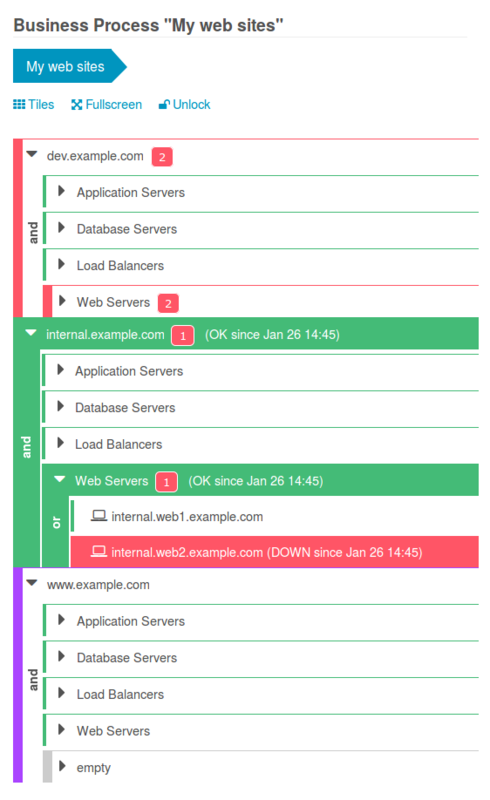 Start to monitor whole processes instead of single services. Sounds promising? Then please head on to our documentation. It is packed with lots of screen shots showing how to get started – and much more. Let’s stop here. For more images please check our documentation (I already mentioned it, did I? 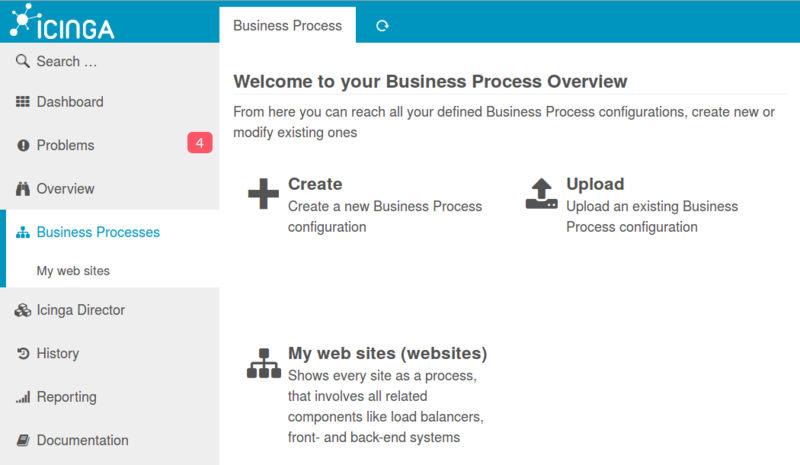 ), download and install the Business Process module right now! Don’t worry, “Unbound nodes” appear when you create sub-nodes not bound to any parent. You probably created a new process at root level and switched “Visualization” to “Subprocess only”. That node would normally be “lost” (invisible) unless you link it somewhere. That’s why we show that fake “Unbound nodes” process to make it obvious to the user that there is still some work to do: to link that sub-process. Just, it seems that I forgot to catch that “special link”. That’s why you get an error when clicking on the “Unbound nodes” tile. I guess your config works perfectly fine unless you click there, is that assumption correct? To fix your config go to any process, choose to add an existing “Business Process Node” and select your lost baby. Afterwards you can keep or delete it, whatever you want. Your “Unbound nodes” will be gone. NB: This is a blog, not a bug tracker. I created #100 for you.